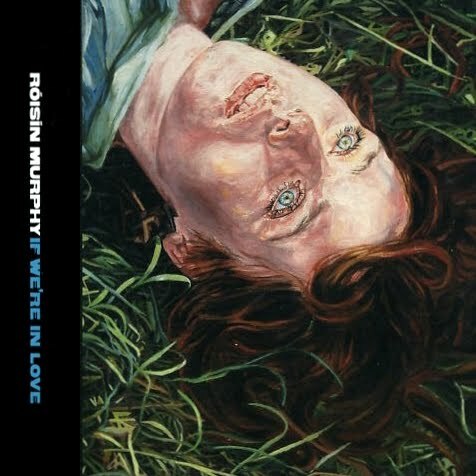 If We're In Love was the first of two singles to be released from Roisin's solo album Ruby Blue. It was released in June 2005. The single was released on CD and as a digital download in the UK and in several European countries but failed to make an impression on the charts. The music video for If We're In Love was directed by Simon Henwood and has a dreamy atmosphere that is reminiscent of Alice in Wonderland. In the video Roisin can be seen lying on the grass in a green dress, which seems to be a reference to the Henwood painting that was used for the single cover. I can letcha have, I can letcha have, I can letcha have, I can letcha have your way. I can letcha have, I can letcha have, I can letcha have, I can letcha have your way (letcha have your way). I can letcha have your say. I can hear wanting. If ya give all it is, I don't need to care too much. Anyway you play with it, you can get away with it. I don't wanna cry no more. Why you gotta take it for? Just for another hour in there with you. So I don't need to steal your flow. Baby, I can let you go anytime you say so. Oh! I don't wanna hear the alarm You don't have to use your charm You don't have to break my arm Sleepin' dogs are always lyin' I decide when I decide I am in the mood right now Baby baby I don't wanna hear the alarm You don't have to use your charm You don't have to break my arm Sleepin' dogs are always lyin' I decide when I decide I am in the mood right now Baby c'mere I don't wanna hear the alarm You don't have to use your charm You don't have to break my arm Sleepin' dogs are always lyin' I decide when I decide I am in the mood right now Baby c'mere - mood right now Save me from the truth, oh how I don't want to hear the alarm. you don't have to break my arm. I don't wanna hear the alarm. This bird in the hen is time without plans no chiming of bells. No stopping the wreck no sense of the threat no sound of alarms. No I don't want to count the cause. I don't want to love too much. Couldn't give it all away. And I pray for another way. Cause we left it undecided, opinions divided. Maybe I can steady your flow, tell me whatcha know. How to make a true love go. How to make a true love glow. How to make a true love grow. Oh! I don't wanna hear the alarm You don't have to use your charm You don't have to break my arm Sleepin' dogs are always lyin' I decide when I decide I am in the mood right now Baby baby I don't wanna hear the alarm You don't have to use your charm You don't have to break my arm Sleepin' dogs are always lyin' I decide when I decide I am in the mood right now Baby baby I don't wanna hear the alarm You don't have to use your charm You don't have to break my arm Sleepin' dogs are always lyin' I decide when I decide I am in the mood right now Baby c'mere I don't wanna hear the alarm You don't have to use your charm You don't have to break my arm Sleepin' dogs are always lyin' I decide when I decide I am in the mood right now Baby c'mere - mood right now Save me from the truth, oh how I don't want to hear the alarm. i don't know how much it's actual still, but here's the lyrics of RoyalT! Enjoy!!! Such a shame this album did not chart better. It is truly a gem of a track! Such a dreamy song, the video is amazing! I'm sure that the Roisin head in a jar is a reference to the original Fun For Me video. Also check out the Ashley Beedle mix!